Atomos has announced a new OS update for its Inferno, Flame and Blade series of professional monitor/recorders, with a focus on improving HDR workflows. 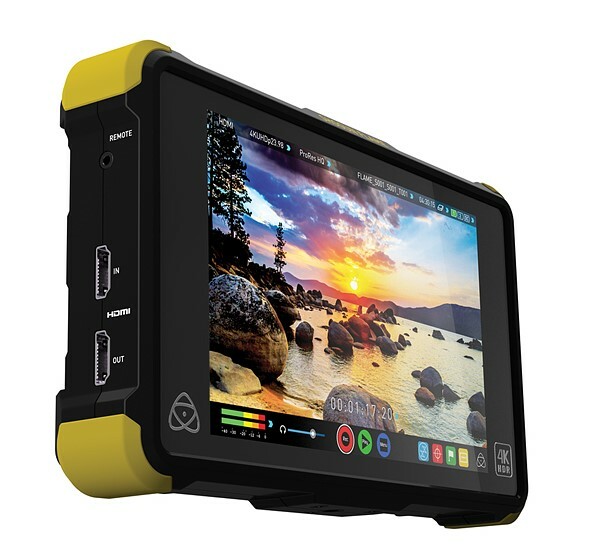 Atomos’ AtomHDR technology allows users with Log output from their camera to view up to 10.2 stops of dynamic range on the monitor while providing a preview of what graded footage will look like. Atom OS 7.12 adds support for Sony S-Log, FujiFilm Log and Canon C-Log 3 to the list of previously supported Log formats for Panasonic, JVC, Canon, Sony, Red and Arri cameras. The update is available directly from Atomos. Additionally, Atomos is offering a limited time cash back and trade in program on some of its Flame and Blade products, with total savings of up to $500 on the Shogun Flame (normally $1695), up to $400 on the Ninja Flame (normally $1295), and up to $100 on the Ninja Blade (normally $495). Full details of the program can be found on the Atomos web site, and the promotion ends January 31, 2017. AtomHDR technology across the Inferno, Flame and Blade Series Pro Monitor/Recorders gives users with a Log output from their camera 10.2 stops of dynamic range, along with our patent pending HDR waveform & HDR slider to make setting exposure for HDR delivery precise, yet simple. •New OS 7.12, which is a free download, broadens Log support to include Sony S-Log, FujiFilm Log and Canon C-Log 3 in addition to previous support for Panasonic, JVC, Canon, Sony, Red and Arri log curves. The flexibility of both SDR and HDR in the one unit. Expose correctly for HDR in the field but grade the recorded log footage for either HDR or SDR delivery. Those with an eye on HDR for the future but delivering SDR now, will benefit greatly with less noise in their footage by exposing their log footage away from the noisy end of the sensor.